This week in honor of the first day of autumn, the Girl Fridays are embracing fall, and challenging you to do the same. We'd also like to remind you that while we are mostly cardmakers here, you are welcome to submit your tags, layouts or anything else you'd like to create that is CAS and fits the challenge theme. We'd love to see them! Deone and her husband Ken started Great Impressions Stamps in 1984. They started their journey by doing craft shows around the country and then in the 90's decided to sell wholesale. After that they decided to start selling in small retail stores and the original "Stamp of the Month" was born. The next step was opening an online website so that purchasing Great Impressions stamps would be even easier, which is where the company is today. 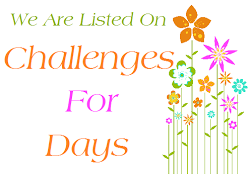 We hope that you will visit our website and our blog where we feature a new DT project each day and have a monthly challenge. Oh goodness - there are some oh-so-gorgeous works of art here. Happy fall ya'll. gorgeous creations by the DT!! so much inspiration here! Great inspiration cards and colors! Thanks for all the wonderful Fall inspiration ladies! great challenge... im ready for fall!!! Wonderful fall challenge! Thanks for the inspiration.